Exential was a scam. It was so obviously a scam that anyone who fell for it was delusional and anyone who promoted it was shameless, and possibly committing a fraud. Because the only way the scheme could work is by continually adding new accounts. The accounts were known as Tadawul. Airline cabin crew were one of the key groups targeted in Dubai in a bid to encourage more people to open up accounts with Exential. Each investor forked out a minimum of $25,000 per forex account after being promised annual profits of up to 120 per cent. The company’s Dubai Media City office was shut down by authorities in July 2016. Sydney Lemos, 36, from Goa, India, was arrested in December 2016 for running a Dh1.1 billion Ponzi scheme in the guise of a foreign currency exchange investment programme. He was released on bail, but taken into custody a second time in mid-January. The UAE courts yesterday sentenced the two main promoters, the chief executive and accountant, of the US$200 million Exential scam to more than 500 years each in prison. Sydney Lemos and Ryan Fernandez were sentenced to a year in prison for each of more than 500 criminal cases. The two can appeal but realistically they are unlikely to ever be released. 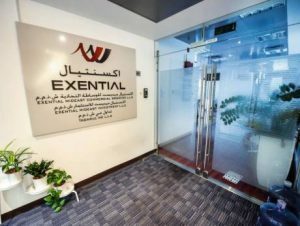 Many investors were left destitute from the collapse of Exential in Media City, when the Department of Economic Development moved in to shut down the operation in 2016. Lemos and Fernandez were arrested later that year. Dubai courts were flooded with submissions against the company when word spread that only those filing their own police reports were likely to have any funds returned. Bill Ferguson, a lead investigator with Carlton Huxley, has spent months tracking down assets owned by Exential and its partner companies, including FCI Markets, in the British Virgin Islands, an offshore brokerage linked to Exential. The investigation could well go beyond the two already sentenced. Carlton Huxley has so far managed to recover about $6m. The scheme was a constant discussion among Emirates crew where many crew had multiple accounts and would happily discuss how much moneyy they were making. Some crew would take bank loans in order to open additional accounts. A Filipino cabin crew member who spent close to Dh50,000 in legal fees and six months in the civil courts pursuing his claim, was awarded a Dh1m judgment by a Dubai court last year. He is yet to receive any money because court-appointed marshals have yet to recover any assets registered in the names of Exential in the UAE. This guy had 10 accounts yet did not think he might have a problem? “I don’t want to insult cabin crew but this was like a bull race,” said an ex-employee of Exential. “When one person opened an account, the rest charged in to open accounts. “There were people at Emirates who were selling these accounts and making huge monthly commissions from new investors. Greed. Pure and simple. The Dubai bling lifestyle. Why on earth would you believe anyone who tells you that you can legally make 10% a month?